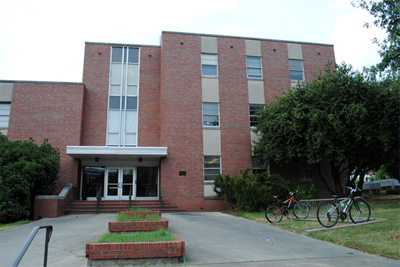 The Duke Robotics group is located on the first floor of North Building on Duke's West Campus, at the corner of Research and Circuit Drive. Our conference room is North 128. The closest visitor parking is in the small lot on the corner of Circuit Dr. and LaSalle, but the parking meters only take coins. Longer term parking is available at the Duke Eye Center lot off Research Dr or the Bryan center lot off of Science Dr.